Dr. Rodney Schmidt is a pathologist and professor in the Department of Pathology at the University of Washington and has a special focus and expertise in lung cancer and a long-standing interest in the use of immunohistochemistry for diagnosis and ascertainment of predictive and prognostic factors. 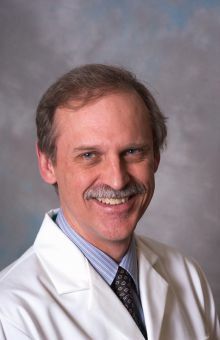 Dr. Schmidt leads the Lung/ENT Surgical Pathology Specialty Service, is the primary pathologist for the UWMC Thoracic Multidisciplinary Tumor Board and serves as the division director for medical informatics in the Department of Pathology. He, also, actively participates in the Bone and Soft Tissue Specialty Service.